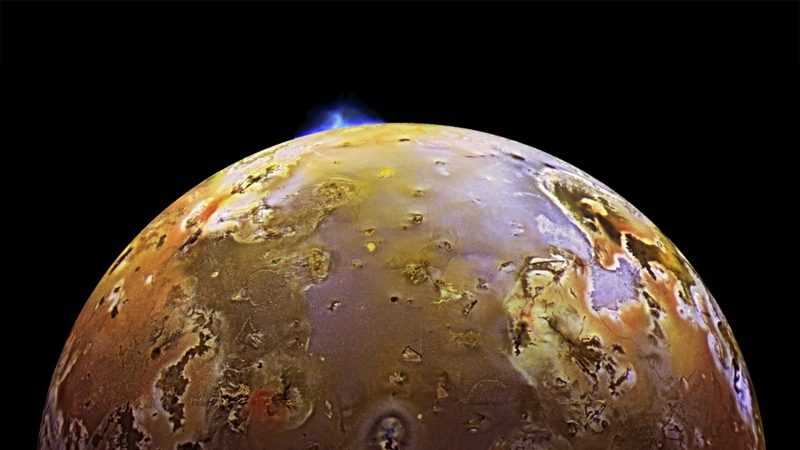 A team of space scientists has captured new images of a volcanic plume on Jupiter’s moon Io during the Juno mission’s 17th flyby of the gas giant. A volcanic eruption on Io seen by the Galileo spacecraft in 1997. Image via NASA/JPL/DLR. On Dec. 21, during winter solstice, four of Juno’s cameras captured images of the Jovian moon Io, the most volcanic body in our solar system. 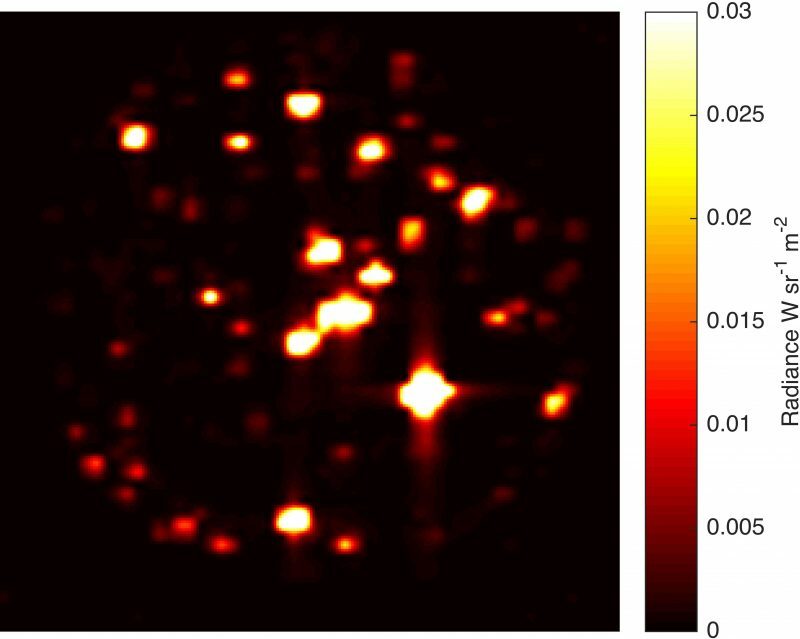 JunoCam, the Stellar Reference Unit (SRU), the Jovian Infrared Auroral Mapper (JIRAM) and the Ultraviolet Imaging Spectrograph (UVS) observed Io for over an hour, providing a glimpse of the moon’s polar regions as well as evidence of an active eruption. 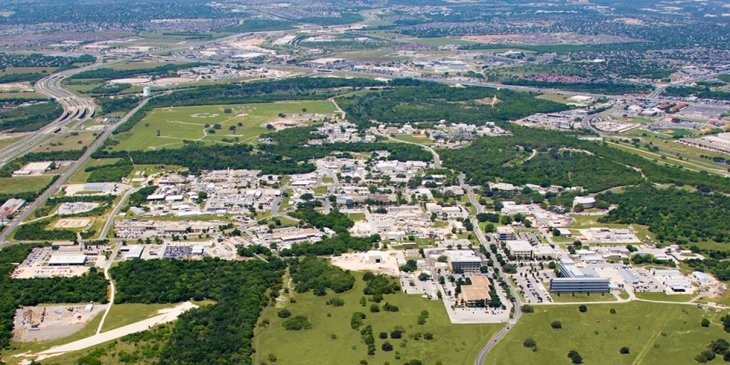 For more information, visit Space Science or contact Robert Crowe, +1 210 522 4630, Communications Department, Southwest Research Institute, PO Drawer 28510, San Antonio, TX 78228-0510. The SRU and JunoCam teams both now have several peer-reviewed science papers —either published or in the works — to their credit. 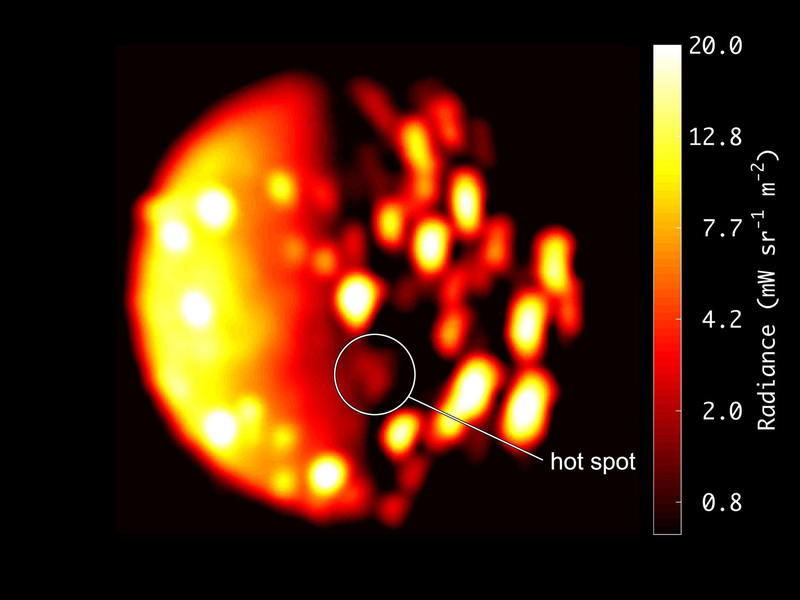 This annotated image highlights the location of the new heat source close to the south pole of Io. The image was generated from data collected on Dec. 16, 2017, by the Jovian Infrared Auroral Mapper (JIRAM) instrument aboard NASA’s Juno mission when the spacecraft was about 290,000 miles (470,000 kilometers) from the Jovian moon. The scale to the right of image depicts of the range of temperatures displayed in the infrared image. Higher recorded temperatures are characterized in brighter colors — lower temperatures in darker colors. Juno has logged nearly 146 million miles (235 million kilometers) since entering Jupiter’s orbit on July 4, 2016. Juno’s 13th science pass will be on July 16. JPL manages the Juno mission for the principal investigator, Scott Bolton, of Southwest Research Institute in San Antonio. The Juno mission is part of the New Frontiers Program managed by NASA’s Marshall Space Flight Center in Huntsville, Alabama, for the Science Mission Directorate. The Italian Space Agency (ASI), contributed two instruments, a Ka-band frequency translator (KaT) and the Jovian Infrared Auroral Mapper (JIRAM). Lockheed Martin Space, Denver, built the spacecraft. 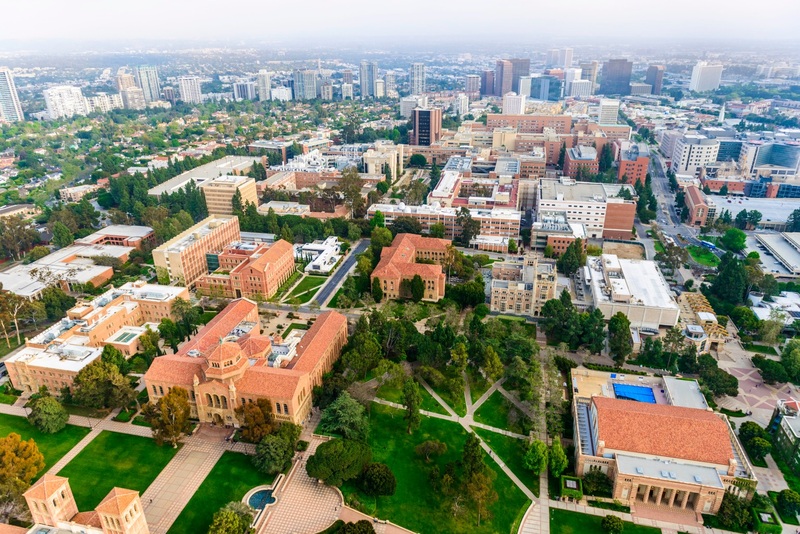 JPL is a division of Caltech in Pasadena, California. To date, Juno has completed 10 science passes over Jupiter and logged almost 122 million miles (200 million kilometers), since entering Jupiter’s orbit on July 4, 2016. Juno’s 11th science pass will be on April 1. Juno launched on Aug. 5, 2011, from Cape Canaveral, Florida. During its mission of exploration, Juno soars low over the planet’s cloud tops — as close as about 2,200 miles (3,500 kilometers). During these flybys, Juno is probing beneath the obscuring cloud cover of Jupiter and studying its auroras to learn more about the planet’s origins, structure, weather layer and magnetosphere. Following a flawless launch and cruise to Jupiter, the Juno spacecraft entered orbit of the gas giant on 4 July 2016, entering a 53 day checkout orbit. 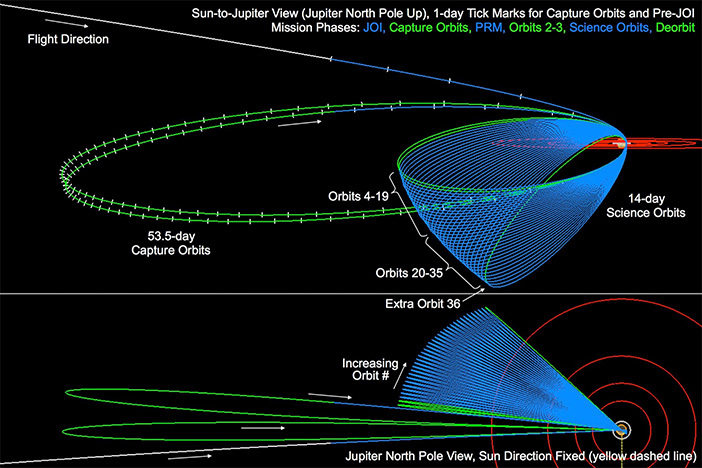 Juno was supposed to complete two of these checkout orbits before performing an engine burn to reduce the spacecraft’s orbital period and apojove (farthest point in the craft’s orbit of Jupiter) to its planned 14 day science orbit. This engine burn, called the Period Reduction Maneuver, was planned for 18 October 2016. However, during the second 53 day checkout orbit and just four days prior to the Period Reduction Maneuver as NASA worked through tests of Juno’s primary engine, engineers saw something in the data that gave them cause for concern. Ultimately, the data on Jupiter’s helium valves indicated that it was too risky to attempt ignition of the engine, and NASA decided to leave Juno in its 53 day orbit, significantly changing the mission outlook and timing of science operations. Juno’s 14 day science orbit had been designed to allow the craft to meet its minimum mission success, defined by Juno’s pre-launch criteria as 12 science gathering dives close to Jupiter’s atmosphere, within six months of entering the science orbit. Now, a year-and-a-half after entering orbit of Jupiter, Juno has completed just nine science dives (11 perijoves – time of closest approach – overall). Under the current mission timeline, Juno will not achieve its 12th science dive – assuming every science instrument continues to function – until 16 July 2018 during the 14th overall perijove, a far cry from the planned 34 science dive perijoves that were planned to be completed by this month (February 2018) had Juno entered its proper 14 day science orbit. At the time of launch and through its cruise to Jupiter, mission managers stated that there was no possibility for extending the Juno mission beyond February 2018 because of the radiation environment expected while the craft was in its 14 day science orbit. However, at a post Jupiter orbit insertion news conference on 4/5 July, the Juno team acknowledged that there was a potential to extend the Juno mission if the radiation environment experienced by the craft was less than expected and if all the craft’s science instruments and control systems were still in good condition by February 2018. But since Juno has remained in a 53 day orbit and has swung well outside Jupiter’s radiation belts during those orbits, the radiation environment the craft has been exposed to has indeed been less than expected. In short, Juno has returned amazing data that has surprised scientists and enabled them to learn more about the composition of the largest planet in our solar system despite the craft not being in its intended science orbit. Moreover, Juno’s mission to date can be classed as successful, with the craft anticipated to meet minimum mission success in July 2018 without issue. But whether the mission will end or be allowed to continue beyond its 12th perijove science dive in July is currently unknown, with NASA needing to make that decision in the coming months. “NASA will make and announce the decision on the continuation of the Juno mission within the next few months. The factors being considered include the health of the spacecraft and instruments, the potential to obtain the anticipated science data, and any challenges and benefits from the longer, 53-day orbit,” noted NASA. Should the decision be made to end Juno’s mission this year, the craft will, as planned, complete its 12th science perijove, 14th overall perijove, on 16 July 2018 before embarking on its final orbit that will align the spacecraft for a destructive entry into Jupiter’s atmosphere 53 days later. 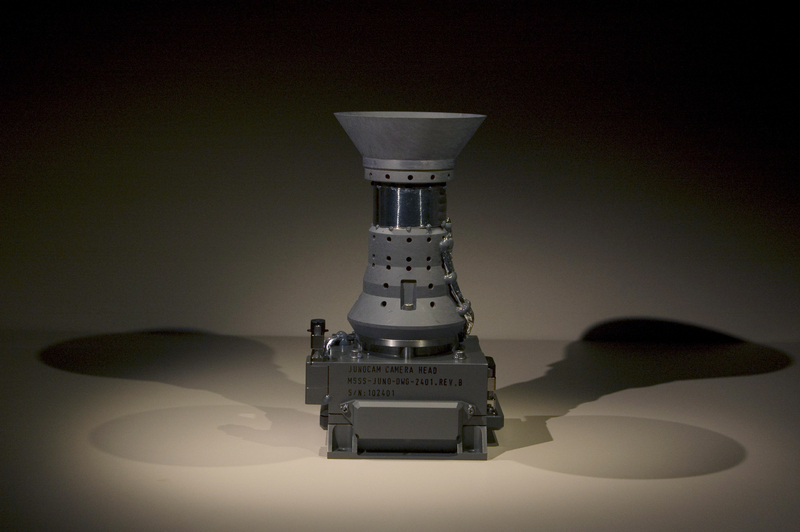 Should the mission receive permission – and funding – to continue, Juno will remain in its 53 day current orbit, completing additional perijove science dives and returning that data and images to its science teams back on Earth… all while ensuring spacecraft health for the all-too-important end of mission destructive dive into Jupiter’s atmosphere to protect the planet’s moons. However, early science results have revealed Jupiter’s complex, gigantic, turbulent environment, with Earth-sized polar cyclones, plunging storm systems that travel deep into the heart of the gas giant, and a mammoth, lumpy magnetic field that may indicate it was generated closer to the planet’s surface than previously thought. Among the findings that have so far challenged assumptions are those provided by Juno’s imager, JunoCam. The images show both of Jupiter’s poles are covered in Earth-sized swirling storms that are densely clustered and rubbing together. Another surprise has come from Juno’s Microwave Radiometer, which samples the thermal microwave radiation from Jupiter’s atmosphere from the top of the ammonia clouds to deep within its atmosphere. Data from the Microwave Radiometer indicates that Jupiter’s iconic atmospheric belts near the equator have ammonia that penetrates as far down as the Microwave Radiometer can see (a few hundred miles/kilometers) while belts and zones at other latitudes seem to evolve into other structures. Additionally, measurements of Jupiter’s magnetosphere from Juno’s magnetometer investigation indicate that the planet’s magnetic field is even stronger than models expected and more irregular in shape. The magnetometer data indicates that the magnetic field greatly exceeds expectations at 7.766 Gauss, about 10 times greater than the strongest magnetic field found on Earth. Continuing the investigation of the planet itself, Juno has also returned information on Jupiter’s iconic Great Red Spot – a raging anticyclonic atmospheric storm 1.3 times the width of Earth. In July 2017, Juno flew directly over the Great Red Spot, returning numerous scientific data points on the storm, which indicates that the feature penetrates well below the visible cloud layer. In addition to discoveries regarding the Great Red Spot, Juno has also detected a new radiation zone around Jupiter’s equator. “The closer you get to Jupiter, the weirder it gets,” said Heidi Becker, Juno’s radiation monitoring investigation lead at JPL. The new zone was identified by the Jupiter Energetic Particle Detector Instrument investigation. The particles are believed to be derived from energetic neutral atoms (fast-moving ions with no electric charge) created in the gas around the Jupiter moons Io and Europa. The neutral atoms then become ions as their electrons are stripped away by interaction with the upper atmosphere of Jupiter. Moving slightly away from the planet, Juno has also returned exciting data regarding Jupiter’s auroral displays. Presently, Juno scientists have observed massive amounts of energy swirling over Jupiter’s polar regions that contribute to the giant planet’s powerful auroras – only not in ways researchers expected. Examining data collected by the ultraviolet spectrograph and energetic-particle detector instruments aboard Juno, a team led by Barry Mauk of the Johns Hopkins University Applied Physics Laboratory, observed signatures of powerful electric potentials, aligned with Jupiter’s magnetic field, that accelerate electrons toward the Jovian atmosphere at energies up to 400,000 electron volts. This is 10 to 30 times higher than the largest auroral potentials observed at Earth. Jupiter has the most powerful auroras in the solar system, so the team was not surprised that electric potentials play a role in their generation. What’s puzzling is that despite the magnitudes of these potentials at Jupiter, they are observed only sometimes and are not the source of the most intense auroras, as they are at Earth. 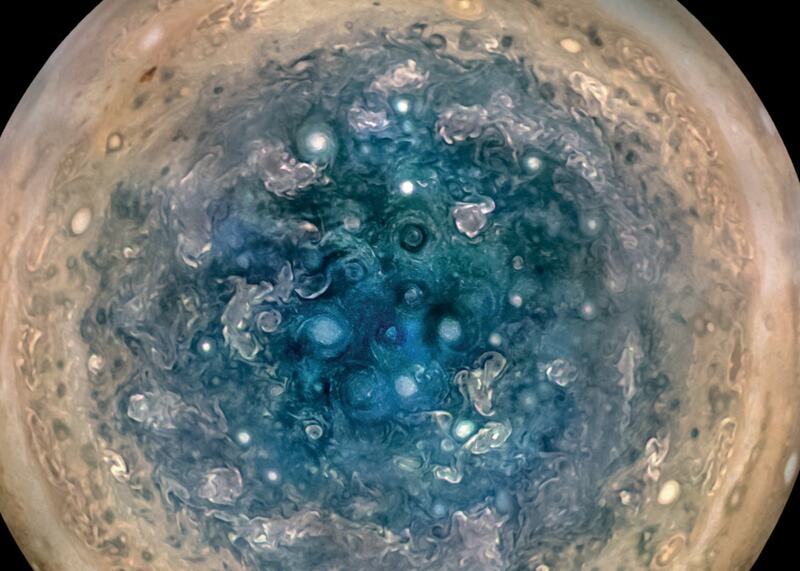 Scientists on NASA’s Juno mission have observed massive amounts of energy swirling over Jupiter’s polar regions that contribute to the giant planet’s powerful auroras — only not in ways the researchers expected. Examining data collected by the ultraviolet spectrograph and energetic-particle detector instruments aboard the Jupiter-orbiting Juno spacecraft, a team led by Barry Mauk of the Johns Hopkins University Applied Physics Laboratory (APL), Laurel, Maryland, observed signatures of powerful electric potentials, aligned with Jupiter’s magnetic field, that accelerate electrons toward the Jovian atmosphere at energies up to 400,000 electron volts. This is 10 to 30 times higher than the largest auroral potentials observed at Earth, where only several thousands of volts are typically needed to generate the most intense auroras — known as discrete auroras — the dazzling, twisting, snake-like northern and southern lights seen in places like Alaska and Canada, northern Europe, and many other northern and southern polar regions. Scientists consider Jupiter to be a physics lab of sorts for worlds beyond our solar system, saying the ability of Jupiter to accelerate charged particles to immense energies has implications for how more distant astrophysical systems accelerate particles. But what they learn about the forces driving Jupiter’s auroras and shaping its space weather environment also has practical implications in our own planetary backyard. 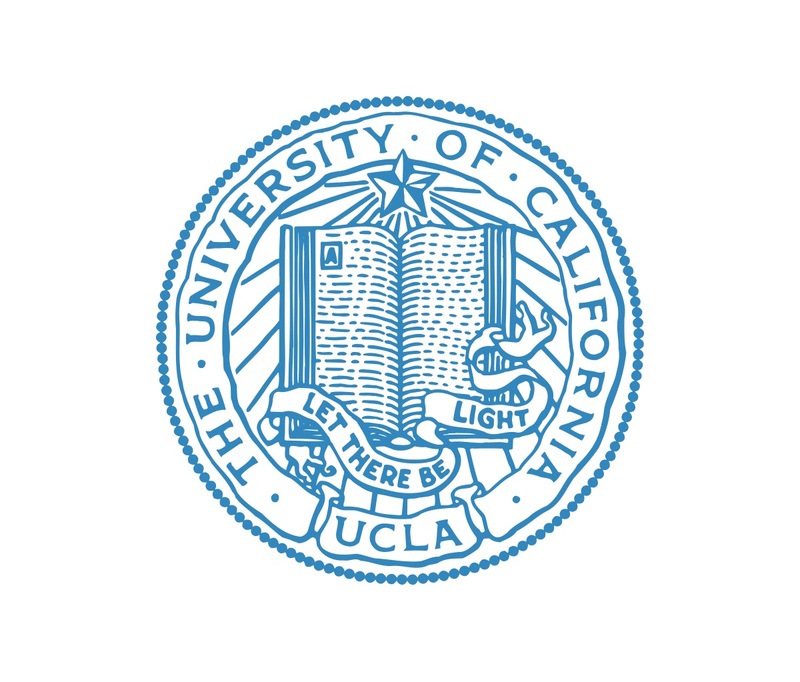 Mauk and colleagues present their findings in the Sept. 7 issue of the journal Nature. NASA’s Jet Propulsion Laboratory, Pasadena, California, manages the Juno mission for the principal investigator, Scott Bolton, of SwRI. Juno is part of NASA’s New Frontiers Program, which is managed at NASA’s Marshall Space Flight Center in Huntsville, Alabama, for NASA’s Science Mission Directorate. Lockheed Martin Space Systems, Denver, built the spacecraft. 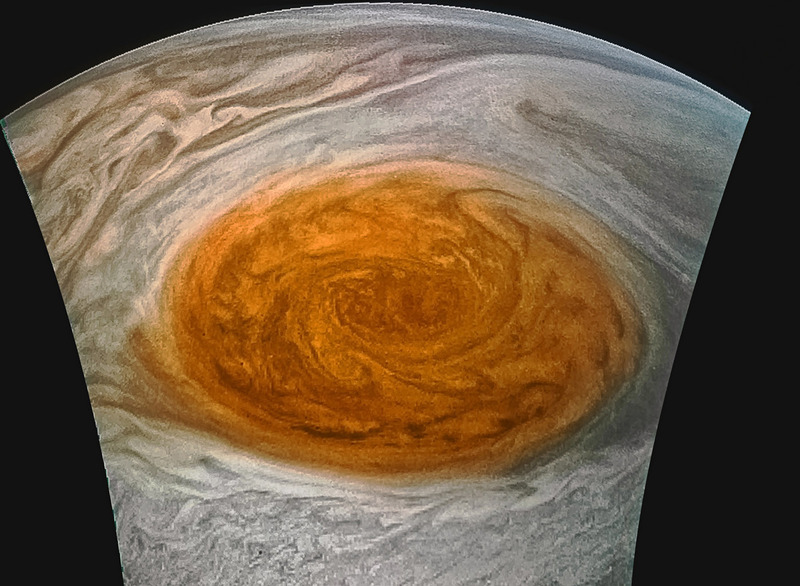 Telescopes in Hawaii have obtained new images of Jupiter and its Great Red Spot, which will assist the first-ever close-up study of the Great Red Spot, planned for July 10. On that date, NASA’s Juno spacecraft will fly directly over the giant planet’s most famous feature at an altitude of only about 5,600 miles (9,000 kilometers). 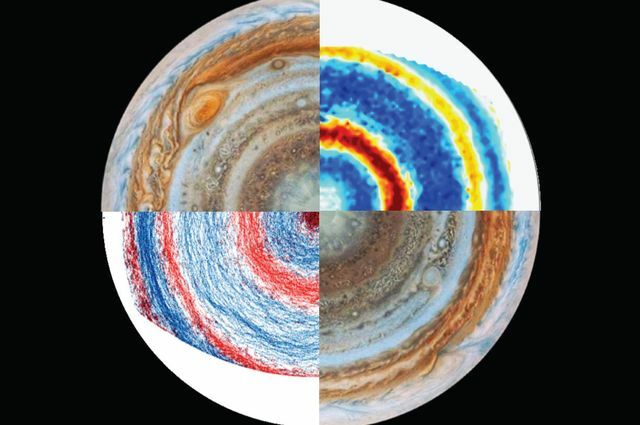 Views Jupiter’s south pole (upper left and lower right) and images from the lab experiment to re-create the planet’s winds (upper right and lower left). Jonathan Aurnou. This research is published online today in Nature Physics. The researchers are looking forward to testing their predictions with real data from Jupiter, and they won’t have to wait long: NASA’s Juno space probe is orbiting Jupiter right now, collecting data about its atmosphere, magnetic field and interior. Initial results from the Juno mission were presented at the American Geophysical Union meeting in December in San Francisco, and Aurnou was there. This year, Aurnou and his team will use supercomputers at Argonne National Laboratory in Argonne, Illinois, to simulate the dynamics of Jupiter’s interior and atmosphere. They’ll also continue their work at the laboratory in Marseilles to make the spinning table simulation more complex and more realistic. Our galaxy is home to a bewildering variety of Jupiter-like worlds: hot ones, cold ones, giant versions of our own giant, pint-sized pretenders only half as big around. Astronomers say that in our galaxy alone, a billion or more such Jupiter-like worlds could be orbiting stars other than our sun. And we can use them to gain a better understanding of our solar system and our galactic environment, including the prospects for finding life. It turns out the inverse is also true — we can turn our instruments and probes to our own backyard, and view Jupiter as if it were an exoplanet to learn more about those far-off worlds. The best-ever chance to do this is now, with Juno, a NASA probe the size of a basketball court, which arrived at Jupiter in July to begin a series of long, looping orbits around our solar system’s largest planet. Juno is expected to capture the most detailed images of the gas giant ever seen. And with a suite of science instruments, Juno will plumb the secrets beneath Jupiter’s roiling atmosphere. It will be a very long time, if ever, before scientists who study exoplanets — planets orbiting other stars — get the chance to watch an interstellar probe coast into orbit around an exo-Jupiter, dozens or hundreds of light-years away. But if they ever do, it’s a safe bet the scene will summon echoes of Juno. “The only way we’re going to ever be able to understand what we see in those extrasolar planets is by actually understanding our system, our Jupiter itself,” said David Ciardi, an astronomer with NASA’s Exoplanet Science Institute (NExSci) at Caltech. Juno’s detailed examination of Jupiter could provide insights into the history, and future, of our solar system. The tally of confirmed exoplanets so far includes hundreds in Jupiter’s size-range, and many more that are larger or smaller. The so-called hot Jupiters acquired their name for a reason: They are in tight orbits around their stars that make them sizzling-hot, completing a full revolution — the planet’s entire year — in what would be a few days on Earth. And they’re charbroiled along the way. But why does our solar system lack a “hot Jupiter?” Or is this, perhaps, the fate awaiting our own Jupiter billions of years from now — could it gradually spiral toward the sun, or might the swollen future sun expand to engulf it? Not likely, Ciardi says; such planetary migrations probably occur early in the life of a solar system. Jupiter itself might already have migrated from farther out in the solar system, although no one really knows, he said. If Juno’s measurements can help settle the question, they could take us a long way toward understanding Jupiter’s influence on the formation of Earth — and, by extension, the formation of other “Earths” that might be scattered among the stars. If Jupiter’s formation started with large chunks of ice in its present position, then it would have taken a lot of water ice to carry in the heavier elements which we find in Jupiter. But a Jupiter that formed farther out in the solar system, then migrated inward, could have formed from much colder ice, which would carry in the observed heavier elements with a smaller amount of water. If Jupiter formed more directly from the solar nebula, without ice chunks as a starter, then it should contain less water still. Measuring the water is a key step in understanding how and where Jupiter formed. That’s how Juno’s microwave radiometer, which will measure water vapor, could reveal Jupiter’s ancient history. “If Juno detects a high abundance of oxygen, it could suggest that the planet formed farther out,” Quintana said. A probe dropped into Jupiter by NASA’s Galileo spacecraft in 1995 found high winds and turbulence, but the expected water seemed to be absent. Scientists think Galileo’s one-shot probe just happened to drop into a dry area of the atmosphere, but Juno will survey the entire planet from orbit. Where Jupiter formed, and when, also could answer questions about the solar system’s “giant impact phase,” a time of crashes and collisions among early planet-forming bodies that eventually led to the solar system we have today. Our solar system was extremely accident-prone in its early history — perhaps not quite like billiard balls caroming around, but with plenty of pileups and fender-benders. “It definitely was a violent time,” Quintana said. “There were collisions going on for tens of millions of years. For example, the idea of how the moon formed is that a proto-Earth and another body collided; the disk of debris from this collision formed the moon. Part of Quintana’s research involves computer modeling of the formation of planets and solar systems. Teasing out Jupiter’s structure and composition could greatly enhance such models, she said. Quintana already has modeled our solar system’s formation, with Jupiter and without, yielding some surprising findings. 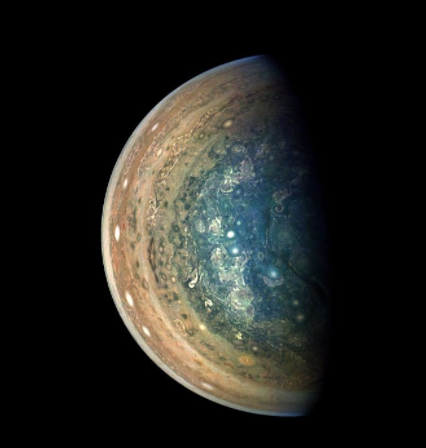 “For a long time, people thought Jupiter was essential to habitability because it might have shielded Earth from the constant influx of impacts [during the solar system’s early days] which could have been damaging to habitability,” she said. 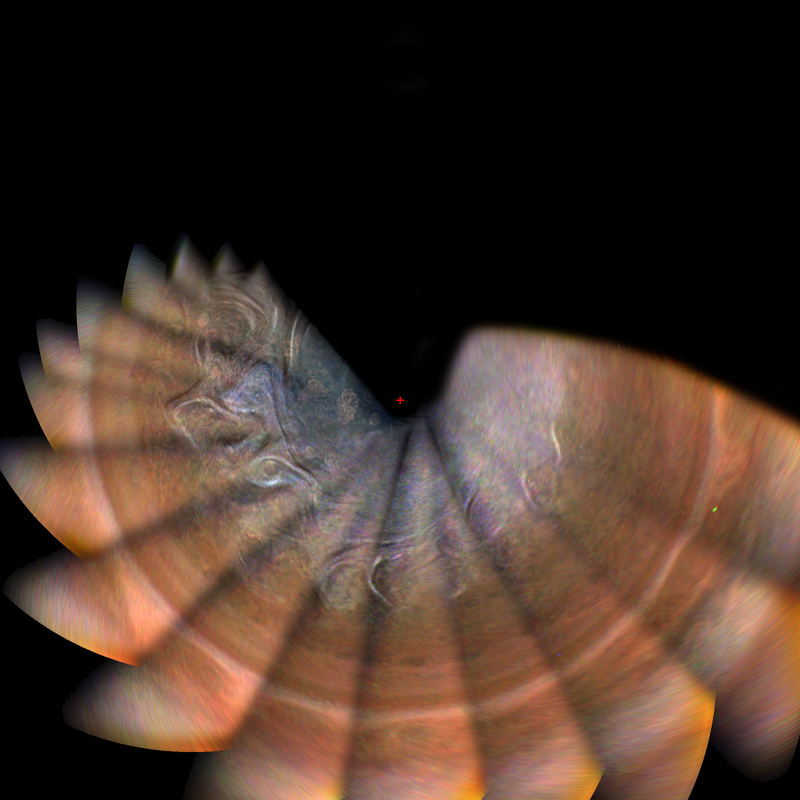 “What we’ve found in our simulations is that it’s almost the opposite. When you add Jupiter, the accretion times are faster and the impacts onto Earth are far more energetic. Planets formed within about 100 million years; the solar system was done growing by that point,” Quintana said. “If you take Jupiter out, you still form Earth, but on timescales of billions of years rather than hundreds of millions. Earth still receives giant impacts, but they’re less frequent and have lower impact energies,” she said. Another critical Juno measurement that could shed new light on the dark history of planetary formation is the mission’s gravity science experiment. Changes in the frequency of radio transmissions from Juno to NASA’s Deep Space Network will help map the giant planet’s gravitational field. “NASA Deep Space Network Canberra, Australia, radio telescopes on watch. Knowing the nature of Jupiter’s core could reveal how quickly the planet formed, with implications for how Jupiter might have affected Earth’s formation. And the spacecraft’s magnetometers could yield more insight into the deep internal structure of Jupiter by measuring its magnetic field. Mapping Jupiter’s magnetic field also might help pin down the plausibility of proposed scenarios for alien life beyond our solar system. 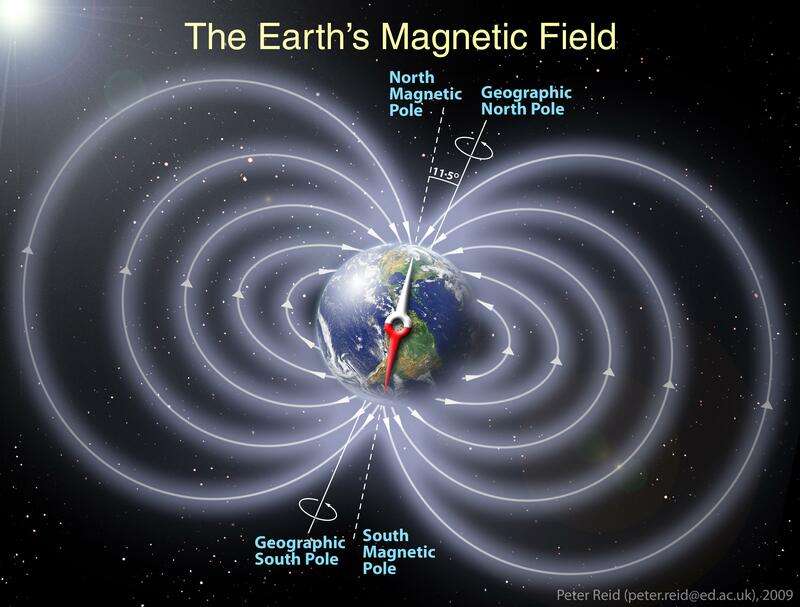 Earth’s magnetic field is thought to be important to life because it acts like a protective shield, channeling potentially harmful charged particles and cosmic rays away from the surface. “If a Jupiter-like planet orbits its star at a distance where liquid water could exist, the Jupiter-like planet itself might not have life, but it might have moons which could potentially harbor life,” he said. An exo-Jupiter’s intense magnetic field could protect such life forms, he said. That conjures visions of Pandora, the moon in the movie “Avatar” inhabited by 10-foot-tall humanoids who ride massive, flying predators through an exotic alien ecosystem. Juno’s findings will be important not only to understanding how exo-Jupiters might influence the formation of exo-Earths, or other kinds of habitable planets. They’ll also be essential to the next generation of space telescopes that will hunt for alien worlds. 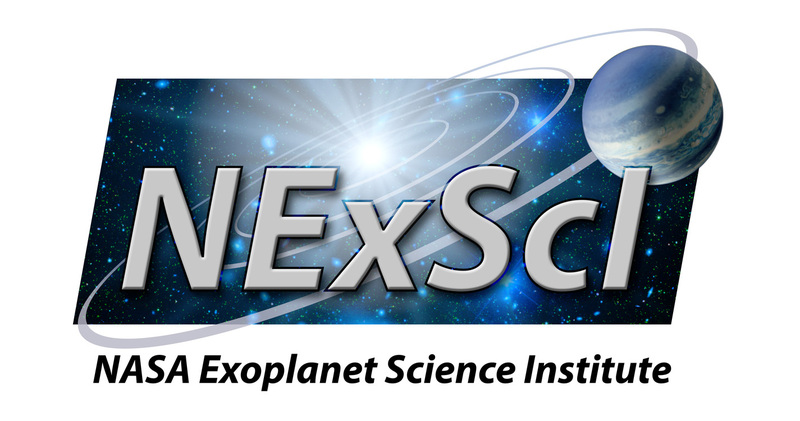 The Transiting Exoplanet Survey Satellite (TESS) will conduct a survey of nearby bright stars for exoplanets beginning in June 2018, or earlier. The James Webb Space Telescope, expected to launch in 2018, and WFIRST (Wide-Field Infrared Survey Telescope), with launch anticipated in the mid-2020s, will attempt to take direct images of giant planets orbiting other stars. “We’re going to be able to image planets and get spectra,” or light profiles from exoplanets that will reveal atmospheric gases, Ciardi said. Juno’s revelations about Jupiter will help scientists to make sense of these data from distant worlds.